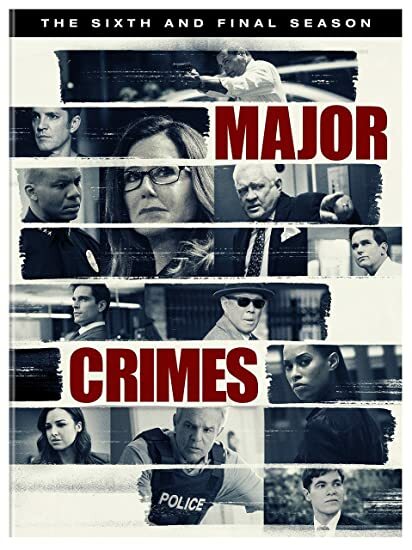 Major Crimes: The Complete Sixth Season - BUY THIS DVD! The elite team of Major Crimes is back for its sixth season with three of the most challenging cases yet, struggling to solve mysteries mired in complex political conflicts that move beyond traditional murder cases. As Sharon Raydor grows accustomed to her new boss, Assistant Chief Leo Mason, the detectives find themselves questioning their faith in the rapidly changing priorities of the justice system while also managing the difficult changes in their personal relationships. Finally, they must accept the necessity of risk, as they prepare to face the inexplicable but undeniable return of Phillip Stroh. THEN SEND IN YOUR NAME AND ADDRESS TO contests@efilmcritic.com. Put "THE OFFICIAL SHOW OF THE TRUMP ADMINISTRATION" in the subject line and cross your fingers. We will draw names and a winner shall receive a CD/DVD from WB. Only 1 entry per household.